President Peres raised a cup of water to toast the world’s largest desalination plant in Hadera that will add 10 percent to Israel’s water supply. President Shimon Peres was on hand and raised a cup of water to toast the new project. If all goes according to plan, the Kinneret will return to flood levels in several years after all of the desalination plants come on line. 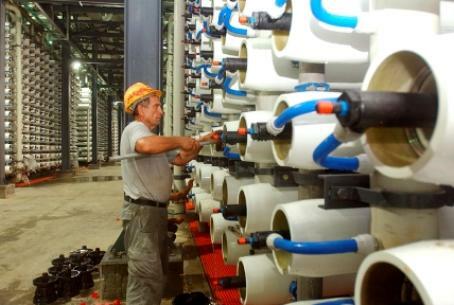 The desalinated water from the Mediterranean also will allow the dams to the Kinneret to be opened and help replenish the drying Jordan River and the rapidly depleting Dead Sea.